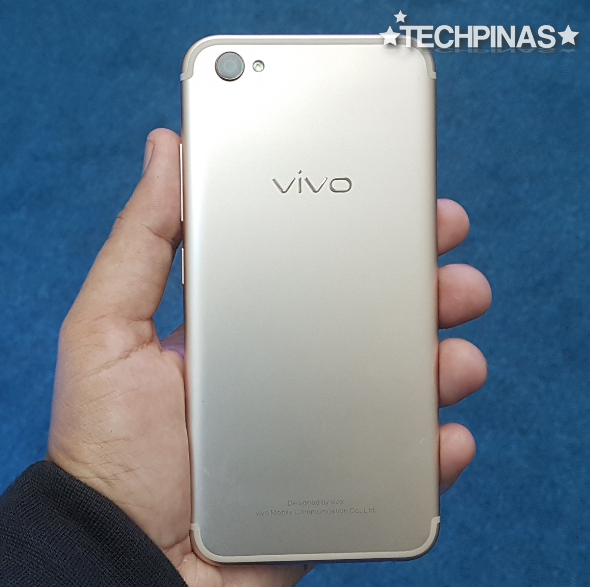 On Saturday - January 21, 2017, Chinese handset maker Vivo Mobile formally launched their latest flagship Android smartphone in the Philippines via a media and consumer event held at the atrium of SM Mall of Asia. 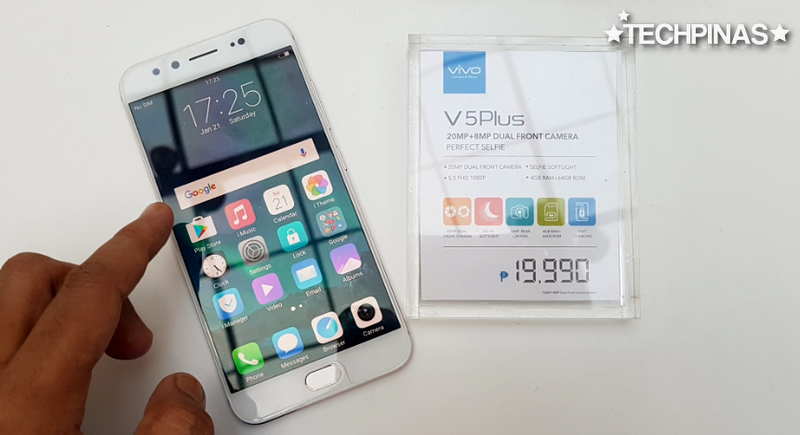 Crafted to deliver the Perfect Shot and the Perfect Selfie, Vivo V5 Plus is a handsome smartphone with good internal hardware and the best imaging capabilities from any device in the company's current roster. Let's talk about the phone's design and construction first. As you can see in these actual unit photos, Vivo V5 Plus flaunts a unibody aluminum shell that gently curves down the edges and corners. The metal shell is chamfered in front, where it seamlessly meets the 2.5D Curved Gorilla Glass 5 face -- for a very premium look and feel in the hand. The back design is obviously reminiscent of the Apple iPhone 7, replete with almost identical antenna bands and camera module placement. 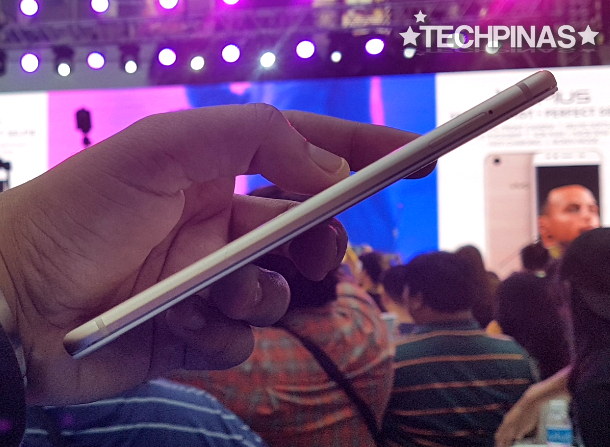 Now, as for the handset's specs, Dual SIM, 4G LTE-enabled Vivo V5 Plus sports a 5.5-inch Full HD IPS display putting it well within the phablet category; The rear shooter is a 16 MegaPixel camera with f/2.0 aperture, which performs rather well in various lighting conditions, and is also capable of shooting 4K video clips. 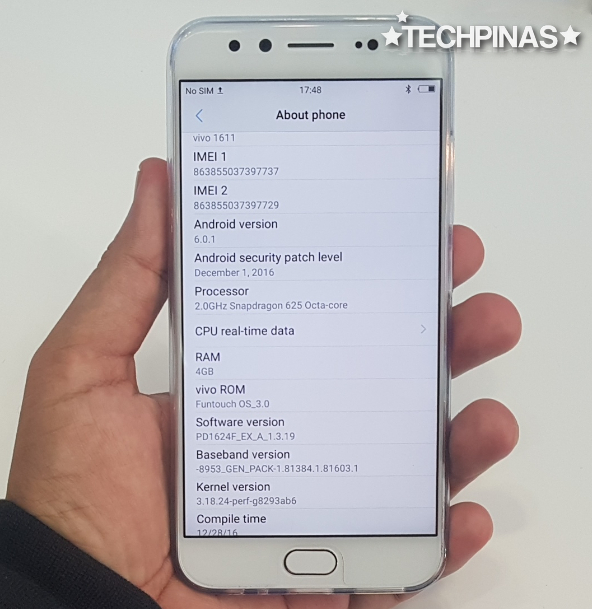 Under the hood, the V5 Plus runs its FunTouchOS-skinned Android 6.0 Marshmallow OS with a 64-Bit Octa Core 2.0 GHz Qualcomm Snapdragon 625 processor incorporating Adreno 506 graphics, has 4GB of RAM, and comes with 64GB of internal storage that you can easily beef up using the secondary hybrid nanoSIM slot that supports microSD card memory expansion. 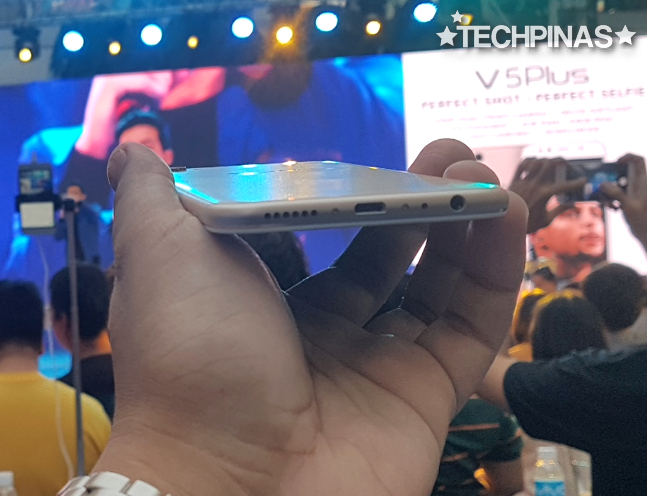 Great for audiophiles, Vivo V5 Plus has a Hi-Fi audio chip that automatically improves the sound quality of music tracks whether you're listening to it using headphones or the loud speaker. One of the main highlights of this model is its Dual Optics front camera module, which is the first of its kind in the industry. It's a combination of a 20 MegaPixel camera and a secondary 8 MegaPixel lens that work together to deliver interesting depth of field effects, enhancing the look of your selfies. 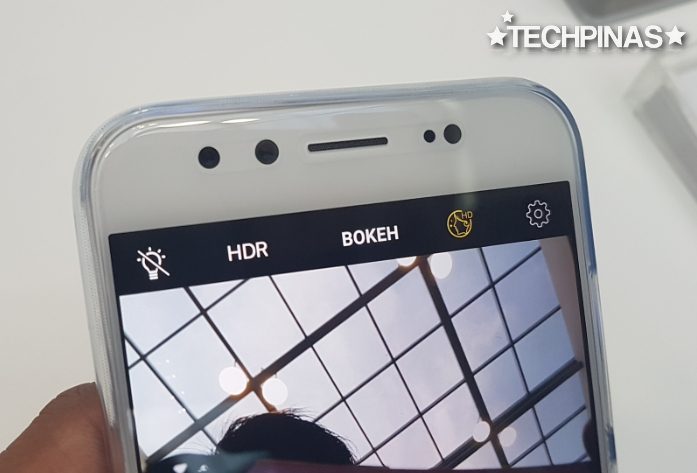 Just click on the Bokeh option in the camera app, snap your selfie, and process it after to get the DOF effect that you prefer before posting on social media. 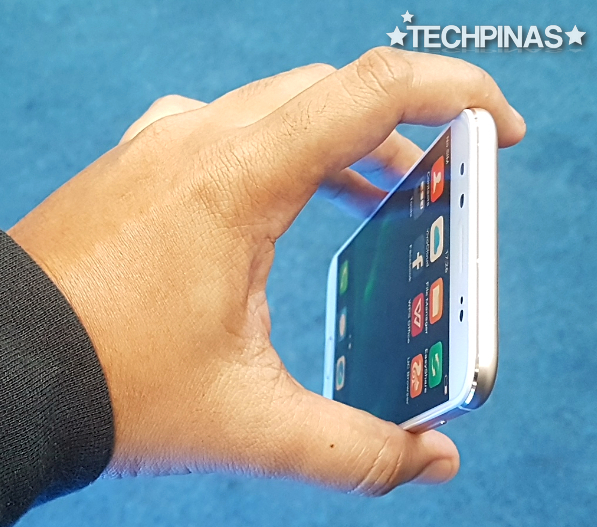 More on this feature in a next TechPinas post. 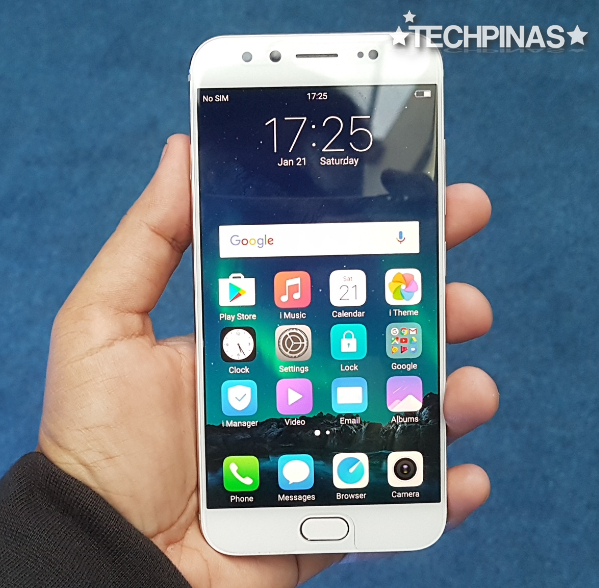 Vivo V5 Plus is now up for pre-order in the Philippines. 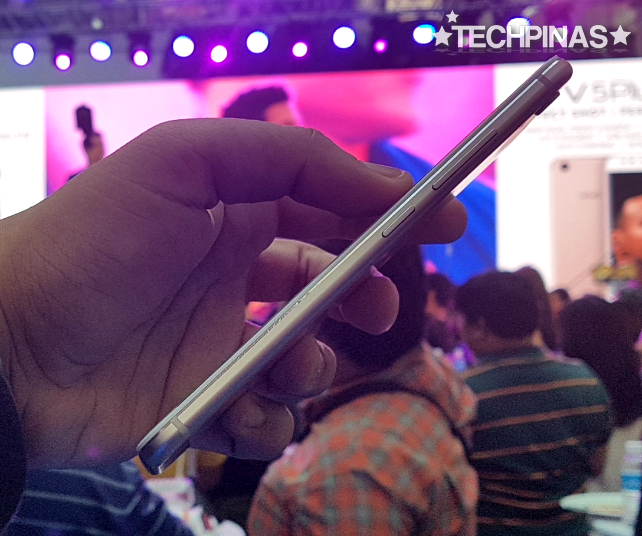 The official SRP of the handset is Php 19,990 and it's out in two colors: Grey and Gold. 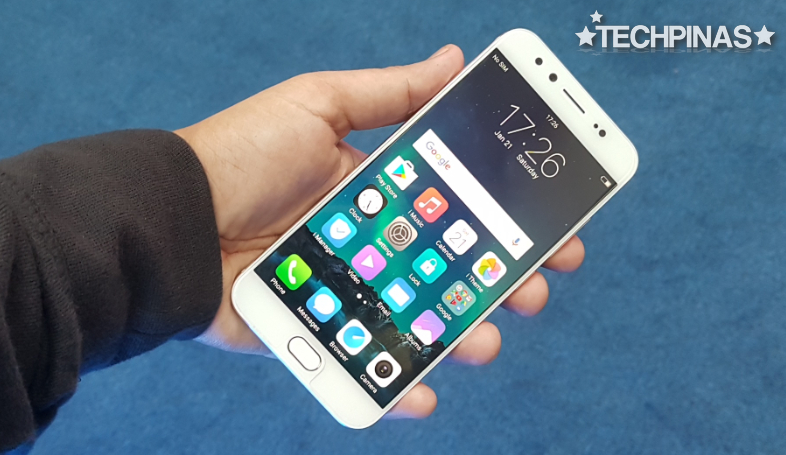 This phablet will be the top-of-the-line device of Vivo Mobile for Q1 2017, representing the very best that the company has to offer in this product category. It's also the phone that's being promoted by the brand's new celebrity ambassadors in the Philippines, namely Toni Labrusca and James Cesena, as well as Vivo's international main endorser, basketball superstar Steph Curry.